Over half of employers expect PPACA to negatively impact their ability to offer medical benefits in the near future. Over half of employers expect the ACA to negatively impact their ability to offer medical benefits in the near future. To attract new employees, nine out of 10 employers say they must offer medical insurance. Employees need to take more responsibility for their benefits, according to 67 percent of employers. What about worker input on benefits? 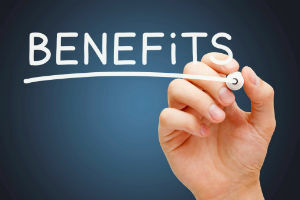 Nearly half of employers say they conduct employee benefit surveys “once in a while.” Another 15 percent conduct benefit surveys on a regular basis, while 38 percent say they never do them. Additionally, 8 percent of employers say they are not sure how much choice their employees want in their benefit packages. The report also notes the important role of the benefits advisor. While 44 percent of respondents believe that companies need to use different benefit communication strategies for different employee populations, 80 percent admit to using the same strategy for all employees. This highlights an opportunity for advisors and carriers to better serve employers’ needs by helping them to customize their approaches to benefits education.